Where is AI Making an Impact? UC Analytics Summit next Week! From the Edge Foundation. A Conversation with Chris Anderson. I have worked with process control systems that are closed loop, and designed to be ... We have many in our lives, but many are hidden, from the lowly thermostat to ambient computers that continually wait for our commands. In some cases its very obvious when the loop is closed, but in most computing systems it is not. You should be able to tell if you map the process. Closing the loop is a phrase used in robotics. Open-loop systems are when you take an action and you can't measure the results—there's no feedback. Closed-loop systems are when you take an action, you measure the results, and you change your action accordingly. Systems with closed loops have feedback loops; they self-adjust and quickly stabilize in optimal conditions. Systems with open loops overshoot; they miss it entirely. Chris Anderson is the CEO of 3D Robotics and founder of DIY Drones. He is the former editor-in-chief of Wired magazine. ..... " Podcast and text ... "
Quite an interesting and detailed article. You wonder if the tracking efforts will change their systems to get around this. I recall reading about the number of 'flashlight' apps on smartphones, and it was long known that these 'simple' apps also pushed a stream of location information out, where it could be packaged and sold. None of this was disclosed, and the trade of privacy for functionality was dishonest at best. Two academic groups have built tools to police what apps do with your location and other personal data. .... "
In Futurism: " ... artificial intelligence non-profit OpenAI just announced it has created an AI system that can learn to complete a task in reality after watching just one demonstration of that task in a simulated environment. ... "
Better described in the abstract to the technical paper. With demonstration video. An example of a simple rule for a much more complex task. How many of these rules are there, and how many sub tasks exist? Getting driverless cars to make safe left turns at intersections is a key challenge for engineers, as they involve both psychology and technology. Toyota Research Institute CEO Gill Pratt predicts enabling self-driving cars to safely make left turns will take five to 10 years to perfect. The challenge lies in autonomous cars' current inability to reliably guess the future actions of other cars and pedestrians. "Some driving is really hard and the hardest of those hard cases involves predicting what other human beings are thinking," Pratt says. Left turns are expected to be easier when automobiles start communicating with each other, and the National Highway Traffic Safety Administration in 2016 proposed a rule requiring all cars to have installed vehicle-to-vehicle radio systems in about five years. Avoiding left turns whenever possible is a strategy driverless vehicles may adopt, as it saves fuel and reduces accidents and waiting times at intersections .... "
Interesting example in the HBR. How can it be translated to other goals in other industries? Thomas H. Lee, MD ... "
Proposals for Drone delivery are not new. But Wal-Mart adds lock-box delivery and blockchains for tracking and identification. Showing their moves in combining advanced technologies. Please point your web browser to https://apps.na.collabserv.com/meetings/join?id=2894-8491 password=cognitive. Use audio on computer or dial 855-233-7153 Non-IBMers please use the "guest" option instead of entering your email. Please find the schedule of presenters herefor the next several calls. A link to slides and a recording of each call should be available on the CSIG website (http://cognitive-science.info/community/weekly-update/). We encourage those who join the calls to add questions and comments to the LinkedIn Discussion Group https://www.linkedin.com/groups/Cognitive-Systems-Institute-6729452 and please ask questions at the end of the call. I like the term Ambient Computing or Ambient OS. It listens, answers, performs, adapts. A virtual assistant too. A more private, more home oriented device? Centralizing smart home actions. IFTTT like? Display too. Not available or priced yet. It’s a huge morning of news from Andy Rubin’s Essential: a new Android phone with a unique edge-to-edge display, a modular accessory system, a new 360 camera for that system, and a new intelligent speaker with a huge circular display. But the biggest news of all might be the OS that runs on that speaker. Essential is calling it Ambient OS, and says that the goal is to “activate” your home by understanding the physical layout of your home, its occupants, and the various services and devices available to them. Ambient calls this “activating” your home, and says the Ambient OS is an “API” to all those things in combinations, allowing new kinds of applications to exist on top of them — like flashing your lights when a timer goes off. .... "
All the indications are there, the data, especially dynamic data, is broad and deep. What should business reactions be? Open source capabilities, such as TensorFlow, could lead to better sharing of AI engines. As Google goes AI-first, here's the latest development. By Lisa Calhoun , In Inc.
· A lean team of engineers can invest in the venture frontier more effectively than a larger, classic corporate venture unit. GV, Alphabet's corporate venture arm, has over 300 investments like Nest, Ionic Security, Uber, and 23&Me. That's not only a large portfolio to manage, it's also a broad mandate that spans consumer goods to life sciences. Artificial intelligence is a hot space for the entire venture capital community. Over a billion dollars were invested in AI last year. Just take a look at key artificial intelligence deals to get a sense of the scope. So having a group that focuses on it specifically? Smart. .... "
Bottom line, its all about the data. And its Apple, Amazon, Google, Microsoft and Facebook that have the data. Lots of data. And all of these companies are expanding their machine learning to leverage the data. Looks like new Neural engines, likely on the edge, in devices like the iPhone, will be doing the work. One day, soon, your Apple iPhone will be able to figure out when you’re going to get sick, will book itself in for servicing when faults develop, will let you know if it picks up a virus, and will be able to figure out if the person you are sharing data with is authorized to see that information. CIOs should begin to think about how this level of machine intelligence may impact their business. .... "
So should data always be analyzed on device, on the edge.? On the iPhone. With a neural engine its faster there, and closer to dynamic data needed. And communicating to user and devices. But not always. Some of our earliest analytics were to understand how products and services should be priced. Not to set prices, but to understand the overall pricing effect. Fixed, Dynamic, Demand-based? So the data science of this is particularly interesting. Mentioned this assistant before. Now appears to be available. First open source example. Mycroft’s voice-enabled assistant is embodied in the startup’s friendly looking Mark 1 gadget, but you can build it into all kinds of devices. by Rachel Metz May 29, 2017 Technology Review. Mark 1 is no Amazon Echo: it looks like an ’80s clock radio mashed up with WALL-E, and speaks with a robotic, bass-heavy British accent. But the startup behind it, Mycroft, hopes it has similar appeal to hackers, students, and companies who want a voice-enabled assistant that they can run on all kinds of devices and alter at will. When it comes to voice-enabled digital assistants, there are plenty of them available these days—in addition to the Echo, which runs Amazon’s Alexa assistant, there’s Apple’s Siri, Microsoft’s Cortana, and Google’s assistant. None of these is open-source, though, so even if developers can use it on various devices (like Amazon’s Alexa), they can’t go under the hood and change its code—ostensibly, to help improve it. .... "
More coverage of many virtual assistants. Noted that Google was coming up with versions for mobile application, so revisited their offerings. TensorFlow™ is an open source software library for numerical computation using data flow graphs. Nodes in the graph represent mathematical operations, while the graph edges represent the multidimensional data arrays (tensors) communicated between them. The flexible architecture allows you to deploy computation to one or more CPUs or GPUs in a desktop, server, or mobile device with a single API. TensorFlow was originally developed by researchers and engineers working on the Google Brain Team within Google's Machine Intelligence research organization for the purposes of conducting machine learning and deep neural networks research, but the system is general enough to be applicable in a wide variety of other domains as well. .... "
A topic I brought up as a key part of the future of machine learning at our recent UC analytics summit. And as we might expect, Google is working on it. From the recent Google Research Blog. This kind of problem will need lots of data to explore it, so expect companies like Google, Amazon, Apple and Microsoft to have the data to do it. Continuing to watch this. As the internal architecture of AI is fine tuned by ML methods, it will become more powerful. At Google, we have successfully applied deep learning models to many applications, from image recognition to speech recognition to machine translation. Typically, our machine learning models are painstakingly designed by a team of engineers and scientists. This process of manually designing machine learning models is difficult because the search space of all possible models can be combinatorially large — a typical 10-layer network can have ~1010 candidate networks! For this reason, the process of designing networks often takes a significant amount .... "
As an example, they show the complexity and effort needed to develop their Googlenet Architecture. Leaders know company value statements often become nothing more than cosmetic window dressing. What appears less common is their understanding of the destructive consequences of allowing that to happen. They reflexively grasp for the culture lever, assuming the act of crafting and publishing a set of values actually has the power to do something. They are shocked when cynicism, resentment, eventually settling on indifference, are how the organization actually responds. .... "
Have followed the Tango Augmented reality capability from Google for some time. It can model interior spaces for AR. Question is if there are enough Tango AR enabled Apps,. This is answered: " ... the number of Tango apps is expected to reach over 1,000 next year, and his company will be doing its part by hosting AR developer conferences with Google -- there'll be one in Taiwan in July. ... "
The second Google Tango phone is the first one worth owning. API.AI ... Conversational User Experience Platform. for bots, applications, services, and devices ... "
" .... API.AI, since September 2016 a part of Google, formerly Speaktoit was a developer of human–computer interaction technologies based on natural language conversations. The company is best known for creating the Assistant (by Speaktoit), a virtual buddy for Android, iOS, and Windows Phone smartphones that performs tasks and answers users' question in a natural language. Speaktoit has also created a natural language processing engine that incorporates conversation context like dialogue history, location and user preferences ..... "
I tried Amazon Alexa's pre school contest for robotics. You enter it by saying 'Alexa, Lets Chat' to your Echo device and off you go. I tried a few iterations, and they were mostly very crude. Initiative in particular was not clear. No way to switch them to context. Complete info here. A number of university teams are involved. Prizes this fall. Amazon will award up to $2.5 million in prizes and sponsorships in a new annual competition called the “Alexa Prize”— challenging university students to build a “socialbot” on the company’s digital brain Alexa that can have an intelligent conversation about pop culture and news events. Amazon said teams can submit applications now, and the winners will be announced at AWS re:Invent in November 2017. The winning team will receive a $500,000 prize, and Amazon will give another $1 million to the winning team’s university if its bot can converse coherently for 20 minutes. A natural next step. In any conversation, questions go in both directions. With initiative from both sides. To test understanding, but also to establish context and progress towards a goal. To gather information to feed algorithms. To link with expertise, human and artificial. Still not easily modeled well, but will be crucial for assistants. How natural must such interaction be? Inquisitive artificial intelligence that asks questions about things it reads could be used to quiz students in class. The question-asking ability would also help chatbots with the back and forth of human conversation. AI is usually on the receiving end of queries, says Xinya Du at Cornell University in Ithaca, New York. Du and his colleagues have turned the tables by building a system that has learned to ask questions of its own. This is something that people have been wanting to do for a long time, says Karen Mazidi at the University of Dallas in Texas. Previous attempts by other people using hand-coded rules haven’t been particularly successful. .... "
Rumor is out that Amazon will now allow sales pitches within contributed Skills. Course I can now decide which skills I want to use. So I am choosing, and perhaps I want to buy things in that context. But this is something new to know and watch for. An assistant should be there to help me buy as well, but does this erode the overall experience? A first implementation of 'conversational commerce', previously discussed? Consider the role of initiative here. What if advertisers found a stealthy new way to get their pitch across — a form of messaging perceived more as a friendly recommendation than hard sell? In an over-crowded media environment, marketers would surely flock to such an innovation. And they have. In the nascent realm of social media influencing, paid endorsements are burgeoning. Celebrities and other influencers present their taste and choices in the marketplace as nothing more than the act of sharing tips with fans and the public — even while failing to make clear that, often, they are being paid to do so. .... "
Understanding the process requires not only wide technical background in machine learning but also basic notions of businesses administration; here I will share my experience on teaching the data science process. .... "
By Balázs Kégl, Data scientist, co-creator of RAMP. .... "
IBM's New PowerAI Features Again Demonstrate Enterprise AI Leadership by Patrick Moorhead in Forbes. What appears to be a semi automation of various areas of machine learning, to make them easier to create and maintain and work with relevant data. The claim is with minimal ML expertise. Notable to me is one emphasis on the analysis of image and video data.
" ... Recently, IBM announced a significant revamp of PowerAI, seeking to address some of the bigger challenges facing developers and data scientists—cutting down the time required for AI system training significantly, and simplifying the development experience. .... "
" .. PowerAI makes deep learning, machine learning, and AI more accessible and more performant. By combining this software platform for deep learning with IBM® Power Systems™, enterprises can rapidly deploy a fully optimized and supported platform for machine learning with blazing performance. The PowerAI platform includes the most popular machine learning frameworks and their dependencies, and it is built for easy and rapid deployment. PowerAI requires installation on IBM Power Systems S822LC for HPC server infrastructure ... "
See also their blog on OpenPower, and a description of advances. In KDNuggets, a good overview of quality issues, some related to the 'Big' part, but generally applicable to any kind of non-trivial data. I have found that data quality errors are mostly dealt with afterwards in practice. If discovered at all. Worth a closer look. More machines learning, by a company that has much of the data. Google Brings Machine Learning to Online Marketing Assessment By David Jones In EcommerceTimes. Google is at an "inflection point," noted Sridhar Ramaswamy, senior vice president of ads and commerce, when it comes to the use of technology to measure online marketing effectiveness. "What's exciting is that things that were really hard we're going to be able to make easy, because technology is doing the heavy lifting," he told conference attendees. .... "
Will see more of this. Intelligence placed in the device, on the edge. A reminder of the announced TPU's of Google. Is this enough, or does it depend too much upon chip architecture? Neural or otherwise? Or will we need breakthroughs like Quantum? Bloomberg reports Apple is developing AI hardware to match Google, Qualcomm. Steve Jurvetson, of VC firm Draper, Fisher, Jurvetson, won the most votes Wednesday for his predicition: the embedding of inference engines connected by neural nets that, as he put it, will put "tiny brains in everything." Four years ago at the event, Jurvetson pegged deep learning as a big trend. "Now we're entering a new phase, pushing intelligence out to the edge, to Fitbits and smartphones, putting a 'brain' in each sensor." In other words, it's not just the Internet of Things, but the Internet of Smart Things. 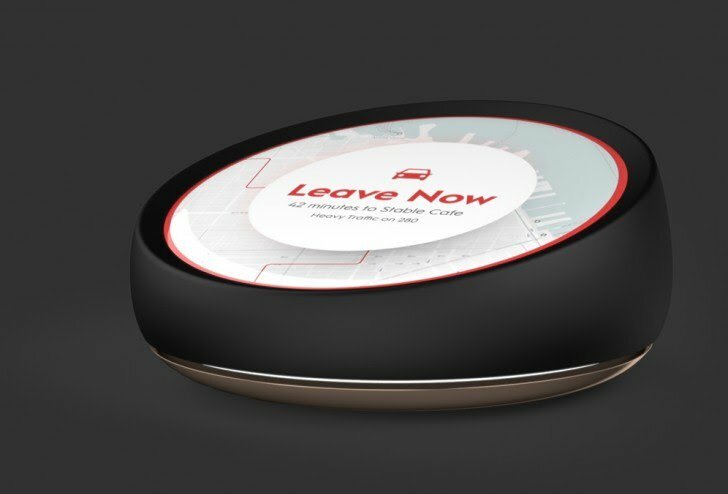 "Imagine your fitness device becoming a fitness coach or your refrigerator as a health monitor," he said, adding that these smart sensors will be essential to the success of self-driving cars. .... "
Users of MS Excel 2013 or above have BI capabilities built in with PowerPivot; a powerful, low-cost solution for collecting and analyzing your data. This case study shows its implementation and productivity increasing abilities can be gained without investing too much time or money. .... "
Brian Christian spoke at our Innovation Summit last week. Very nicely done and informative. Makes me want to read his book on the use of Algorithms. Not so much about about to do the analytics to get to some solution, but how that solution can be inserted into real decisions. So its not the algorithm, but the algorithm in its solution context. Sound familiar? My long time hammering about also understanding and modeling the process. How often do we avoid knowing the process before diving in with a solution? Too often. And we can be wrong. I would like these risks to be better explored. Does a nice job of using the Explore/Exploit dilemma to think about the problem. Quoted a number of useful research efforts in this area. We need to understand this very well before we seek to automate everything. He suggests in his prolog: " ... will discuss both how we can leverage insights from these fields to develop better intuitions in our own thinking, as well as how our human values and principles might translate into an era of increasingly automated decision-making. ... "
Something we looked at closely with our own Bot experiment. Even thought of experimenting with adjusting the type online. But ended up with a friendly and humorous type. Findings at the link are fairly obvious. Depends too upon your goal. Are you selling, convincing, informing, entertaining ... ? Location mentioned as key, below, but I doubt it. Caution about how humor is taken should be careful. Do You Prefer Your Customer Service Bots Friendly or Formal? LivePerson, a company that works in automated customer service, recently surveyed 5,000 people on what personality types they prefer in customer service bots. .... "
What is holding back marketers’ personalization efforts?
" ... A survey of digital marketers by Evergage found that e-mail (72 percent) and websites (57 percent) are the only channels in which a majority of respondents are using personalization. Far fewer respondents from the 206 organizations interviewed across businesses have cracked the code for mobile websites (28 percent), web apps (20 percent) or mobile apps (18 percent). Meanwhile, personalization experiences remain fairly limited. E-mail campaigns are the most common type of personalized experience, used by almost two-thirds of marketers. Home pages (58 percent) and recommendations (58 percent) are also fairly popular areas of personalization, while half are personalizing interior pages. Given that website content personalization is considered quite difficult, these could be seen as encouraging results. Again, however, there’s less uptick in other areas: fewer than one-third are personalizing navigation (29 percent), search (27 percent), pricing (22 percent), videos (18 percent) or sorting (16 percent). ... "
Don't normally think of Hershey in this space, so this was revealing. Note the dependence on the physical space and impulse purchases. Can Hershey help grocers transition to a digitally-dominated future? by Dale Buss in Retailwire. With discussion. In an unusual initiative for a CPG brand, Hershey just released a report, “New Retail in a Shopper’s World,” that details how retailers can transition to a digitally-dominated future. Hershey, other candy brands and some other snack brands remain heavily dependent on physical retail space. Brian Kavanagh, senior director of retail evolution for Hershey, told CPGmatters, “That’s because we’re often not on consumers’ shopping lists. So we need those grocers’ doors to stay open.” ... "
In my own interactions with the enterprise saw this to be very much the case. In one example it appeared that IE was the standard, but after having problems with it's interaction with local software, was pulled aside and told, Chrome has been better tested and the assumed default standard. The standard issue has been done for broader volume cost issues. Enterprises may say they are committed to Microsoft's browsers, that they continue to define the venerable Internet Explorer (IE) as their employees' standard. But reality is different, an analyst argued Thursday. "Microsoft retains a very strong relationship with [enterprise] IT," said David Michael Smith, of Gartner, in an interview. "Most enterprises still have a 'standard' browser, and most of the time, that's something from Microsoft. These days it's IE11. But we've found that people actually use Chrome more than IE." .... "
More in the space of creativity process. JESSE ENGEL IS playing an instrument that’s somewhere between a clavichord and a Hammond organ—18th-century classical crossed with 20th-century rhythm and blues. Then he drags a marker across his laptop screen. Suddenly, the instrument is somewhere else between a clavichord and a Hammond. Before, it was, say, 15 percent clavichord. Now it’s closer to 75 percent. Then he drags the marker back and forth as quickly as he can, careening though all the sounds between these two very different instruments. “This is not like playing the two at the same time,” says one of Engel’s colleagues, Cinjon Resnick, from across the room. And that’s worth saying. The machine and its software aren’t layering the sounds of a clavichord atop those of a Hammond. They’re producing entirely new sounds using the mathematical characteristics of the notes that emerge from the two. And they can do this with about a thousand different instruments—from violins to balafons—creating countless new sounds from those we already have, thanks to artificial intelligence. .... "
Opinion: Europe's Strict New Privacy Rules Are Scary but Right By Jason Kint in Adage.
" .... The most significant change to data privacy regulation in more than two decades will go into effect on May 25, 2018. Under the EU's General Data Protection Regulation, or GDPR (a mouthful, I know), any company will need to ask for explicit consumer consent to collect and use data across the web and app ecosystem. The GDPR has been described as a new gold standard globally and "extraterritorial" in that it applies to any company that touches personal data of EU citizens -- so everyone needs to pay attention. And the GDPR has teeth: It will prescribe fines equal up to a whopping 4% of global revenue. To put this in perspective, Facebook's fine last week of $130 million (for providing misleading information about its WhatsApp acquisition) could have amounted to more than $1 billion if it happened under these new rules. Amid our industry's uproar over the digital advertising "duopoly" of Google and Facebook, Europe should be applauded for writing the first law that, as a byproduct, may actually change how those companies do business. ... "
Quite a need for Chinese regional accents. Chinese tech giant Baidu's text-to-speech system, Deep Voice, is making a lot of progress toward sounding more human. The latest news about the tech are audio samples showcasing its ability to accurately portray differences in regional accents. ... "
Was brought back to my attention. Biometrics typically need multiple dimensions and laboratory style data handling environments. Since 2005 iMotions has developed our software platform that lets researchers integrate best-in-class biosensors, eye tracking, facial expression analysis, EEG, GSR, EMG, ECG and Surveys in one unified software platform. .... "
We supported a number of experiments with self-checkout. Including ones that included this idea. In the U.S., it has been suggested that retailers could offer a discount for using self-service, similar to incentives often provided by banks and airlines. But having ample terminals and trained personal nearby to handle any problems to support a hassle-free self-checkout experience appears to be the current way to provide some motivation. ..... "
Nice piece. Good idea. At one level a very obvious idea. All analytics should be embedded into business applications. And those applications are always a kind of business process, else they are not worth doing. Sometimes they exist within existing computing processes. In all of these cases the overall system may be more or less real-time. So know your business and its context, consider it early and often. First: matching haulers to jobs. Next: leveraging that network to build out fleets of autonomous 18-wheelers. ...."
Nick McClure has released the companion materials for his book TensorFlow Machine Learning Cookbook on GitHub. Some very good information here for a number of stat and machine learning methods. Via O'Reilly. Brought to my attention. I have heard this praised. One of the authors, Jeffrey Shaffer, spoke at our analytics summit last week. Comprising dozens of examples that address different industries and departments (healthcare, transportation, finance, human resources, marketing, customer service, sports, etc.) and different platforms (print, desktop, tablet, smartphone, and conference room display) The Big Book of Dashboards is the only book that matches great dashboards with real-world business scenarios. ... "
Thanks again for their input, there was lots of enthusiasm for leveraging AI in this way. Smart fabrics and power laces are just the beginning. Google announces Marketing Data on Demand via Twitter. In Think with Google.
" ... Get excited, marketing gurus! Today we’re rolling out a brand new (and super cool) data on demand service that will do exactly that—give you the data you need, on demand—using Twitter. You’re in the trenches every day, and it’s hard to stay up to speed. We get it. And that’s why we did the heavy lifting for you. From measurement to mobile, autos to AdWords, we’re putting hundreds of data points at your fingertips. .... "
It’s super easy, too. Just ask us for data on Twitter and we’ll respond with the data you want ... "
The brand’s new Father’s Day ad, “Go Ask Dad” is most definitely trying to make grown men cry. So for Father’s Day, agency Grey New York created a follow-up to last year’s ad, aiming to get more young men real-talking to their fathers with another edition of “Go Ask Dad.” Last year it was a tablet, while this year the brand disguised the dads as a Siri-like personal assistant app.... "
Brought to my attention. Grafana.
" ... The leading open source software for time series analytics ... Grafana is an open source metric analytics & visualization suite. It is most commonly used for visualizing time series data for infrastructure and application analytics but many use it in other domains including industrial sensors, home automation, weather, and process control. .... "
Mostly about hardware, saw it well described by GE Digital at our recent meeting. Gets closer to understanding the process. But how do you include the actions of human actors?
" ... While the concept of a digital twin has been around since 2002, it’s only thanks to the Internet of Things (IoT) that it has become cost-effective to implement. And, it is so imperative to business today, it was named one of Gartner’s Top 10 Strategic Technology Trends for 2017. Thomas Kaiser, SAP Senior Vice President of IoT, put it this way: “Digital twins are becoming a business imperative, covering the entire lifecycle of an asset or process and forming the foundation for connected products and services. Companies that fail to respond will be left behind.” ... "
Always thought there should be a easy way to better visualize the process of code. There have been attempts. Is this finally it? Much like the idea, transparency for decision makers. Consider the potential savings. Extracting business from the code. It’s a pretty bold claim, but the company is confident that its system is robust enough to handle the complexity of coding languages, even in the hands of coding newbies. “We make non-IT people understand code,” CEO Xavier Lagarrigue told TechCrunch at the event. “The technology uses the code as an input and then everything is automatic. We extract the business concepts first from the code and then build questions. And as a user, you select the question and find the answer in the code. If you are a non-coder, you will understand the format.” ..... "
Fascinating look about how to morph recipes. Might this be used to rewrite other process + ingredient kinds of decisions? We were influenced in coffee blending and roasting decisions by recipe style approaches. There is something here. Imagine your favorite go-to recipe mutated to conform to the traditional methods and ingredients of any number of diverse regional food cultures. Consider, say, lasagne, but a sort of lasagne that's instead a naturally occurring part of Japanese or Ethiopian cuisine. Not "fusion," but something deeper—a whole rewriting of what a lasagne even is according to the culinary traditions of some other place. It's not necessarily an easy or natural thing to do, but a new machine learning algorithm developed by a team of French, American, and Japanese researchers offers an automated solution based on neural networks and large amounts of food data. The result, which is described in a paper published this month to the arXiv preprint server (via I Programmer), is a system that can take a given recipe and shift it into an alternative dietary style—sushi lasagne, say—as well as parse a recipe for its underlying style components. .... "
AI Playbook by the Andreessen Horowitz VC firm. Artificial Intelligence (AI) is a set of computer science techniques that, as Stanford professor Andrew Ng is fond of saying, gives your software super powers. Building on our Primer on Artificial Intelligence, this microsite is intended to help newcomers (both non-technical and technical) begin exploring what's possible with AI. We've met with hundreds of Fortune 500 / Global 2000 companies, startups, and government policy makers asking: "How do I get started with artificial intelligence?" and "What can I do with AI in my own product or company?" This site is designed as a resource for anyone asking those questions, complete with examples and sample code to help you get started. .... "
Nicely done piece from DSC by William Vorhies, an overview. Good exec and introductory piece. Like in general the way this is presented. Would add that I have started to call it Augmented Intelligence (AI), which tempers the expectations involved. Summary: For those of you traditional data scientist who are interested in AI but still haven’t given it a deep dive, here’s a high level overview of the data science technologies that combine into what the popular press calls artificial intelligence (AI). We and others have written quite a bit about the various types of data science that make up AI. Still I hear many folks asking about AI as if it were a single entity. It is not. AI is a collection of data science technologies that at this point in development are not even particularly well integrated or even easy to use. In each of these areas however, we’ve made a lot of progress and that’s caught the attention of the popular press. This article is not intended to be a deep dive but rather the proverbial 50,000 foot view of what’s going on. If you’re a traditional data scientist who’s read some articles but still hasn’t put the big picture together you might find this a way of integrating your current knowledge and even discovering where you’d be interested in focusing. .... "
Via former P&Ger and colleague, Pete Blackshaw. Despite having thousands of product lines in its portfolio, Nestle uses a startup mindset adapted from Silicon Valley firms like Google to keep its innovations fresh and on-trend, said Pete Blackshaw, vice president of digital and social media. The company has created a digital acceleration team to develop new ideas internally, and uses alliances with other firms to forge external innovations, such as its recent Amazon partnership, which marries Alexa voice automation technology with Nestle recipes. ... "
Quite a long article with many links in Language Log, on research that has been done on understanding accents. And how this may influence our work with assistants. It has intrigued me as to how we adapt to foreign accents in our own language. Mainly I was impressed by how poorly I understood the speakers. I have a bad time understanding other people’s accents but that’s only one data point. How well do people understand speech that is in the same language as their own but spoken with a different accent? .... "
Jobs in retail, transportation, manufacturing, and agriculture are highly vulnerable to technological change. Retailers such as Macy’s and The Limited are closing hundreds of stores and cutting tens of thousands of jobs as people buy more and more products online, and others are testing robotic assistants or planning for autonomous stores. Over 33 companies are now working on autonomous vehicles, which will soon replace transport jobs. Robots have probably taken about 85% of the 5 million manufacturing jobs that have disappeared from the United States since 2000. Automated farming is also quickly advancing. While our first instinct might be to help employees find new jobs, what we really need to do is help companies shift into new markets focused on human services and adopt new business models that will allow employees, customers, and communities to benefit from technological change. ... "
Walmart reported fiscal first-quarter earnings today that showed a huge spike in e-commerce sales as it slightly beat analyst expectations on the bottom line and slightly missed on revenue. Should Amazon be worried? Maybe. Should brand marketers be worried? Definitely. .... "
Interesting approach that I had not seen .... highlighting the Watson conversation service. With the home automation trend growing, have you wondered how you could build your own home automation virtual agent on Bluemix? Check out this blog post to see how a PubNub developer used PubNub BLOCKS and Watson Conversation to do it. Man’s desire to be a part of the social ecosystem has led to the invention of many communication and information sharing tools. This trend is now morphing to include use cases where we interact with non-living things, as well. Let’s look at one such application where we can communicate with our things through chat, just like way we would Whatsapp our family and friends. Watson Conversation service provides a drag and drop dialog builder. This dialog builder is the key to designing dialogs that are intuitive for human users and, at the same time, can be deciphered by machines. A typical human-to-machine conversation is very different from human-to-human conversation. Machines do not usually engage in a conversation flow like we humans do. They take commands and respond with an action. The Watson Conversation service allows us to build specific dialogs that convey commands and actions between humans and machines. The image below illustrates how this is achieved via intents and entities: .... "
Innovations in digitization, analytics, artificial intelligence, and automation are creating performance and productivity opportunities for business and the economy, even as they reshape employment and the future of work. ... "
Drones go to Work by Chris Anderson in the HBR. Excellent piece. The disruptive economics of unmanned vehicles are taking hold. Here’s how to think about the drone economy and your place in it. .... "
Plus: Drone challenges deals with the underlying regulation and related complexities. I like thinking of it in this way. Saw it demonstrated by MSFT using Cortana this week. Still means the architecture, operations, context and memory of the bot have to be developed and work well and seamlessly. Still a challenge for dialog in a Bot. In Build 2017, Microsoft announced several updates to the Bot Framework which are great, and as I was expecting, this great bot framework is here to stay! One of the features that made me really excited, and something that will push me to think about bot use-cases even more, is the Cortana channel. .... "
Is the $400B prescription drug business ripe for an Amazon disruption? CNBC reported yesterday that Amazon.com is hiring an executive to lead its entry into the pharmacy business. Two unnamed sources familiar with Amazon’s plans told CNBC of the planned hire as well as annual meetings the e-tail giant has held in recent years to explore a potential entry into retail prescription medicine sales. .... "
Useful idea, now link it to right data. Researchers at Stanford University have developed software that integrates crowdsourcing's flexibility and the benefits of on-demand specialists to form "flash organizations." The researchers presented their work last week at the ACM Conference on Human Factors in Computing Systems (CHI 2017) in Denver, CO, detailing tests of their flash organization model. The team supported the model using the Foundry Web platform to help with generating the organization, hiring, task-tracking, and in-group communication. Foundry also featured a tool enabling members to request new roles or tasks as needed. To implement alterations, Foundry has an organizational chart that is used for all reconfigurations, including revising timelines of tasks, redefining roles, and hiring new workers. "By allowing anyone with an idea to go to an online marketplace, recruit all sorts of different experts on-demand, and bring their idea to life in a very short period of time, we're making innovation more feasible," says Stanford's Daniela Retelny. .... "
By Jefferson Graham ... . Non technical view of the history and future of the Internet. I should note that this piece contradicts another piece quoting him regarding AI I recently posted. You have to always be wary of the context of these pieces. He is not an alarmist on the use of AI. Sharon Gaudin By Sharon Gaudin ... "
Interesting progress in text mining that includes repeated memes and context. Technical. Automatic extraction of top memes (key concepts, relations) from unstructured text. Sophisticated meme construction and matching algorithm. System with default/customizable control parameter set. No preprocessing of text or manual intervention between steps is necessary. Results show a better information retrieval F-score than other methods. From their origins in the sociological field, memes have recently become of interest in the context of `viral' transmission of basic information units (memes) in online social networks. However, much work still needs to be done in terms of metrics and practical data processing issues. In this paper we define a theoretical basis and processing system for extracting and matching memes from free format text. The system facilitates the work of a text analyst in extracting this type of data structures from online text corpuses and n performing empirical experiments in a controlled manner. The general aspects related to the solution are the automatic processing of unstructured text without need for preprocessing (such as labelling and tagging), identification of co-occurences of concepts and corresponding relations, construction of semantic networks and selecting the top memes. .... "
" ... Digital advertising is broken. It is a market filled with middlemen and fraudsters, hurting users, publishers and advertisers. The Basic Attention Token (BAT) was developed to address this. BAT, an ERC20 token built on top of Ethereum, will be the unit of exchange in a new, decentralized, open source and efficient blockchain-based digital advertising platform. The first part of the solution, the Brave browser, is already operational. Brave is a fast, open source, privacy-focused browser that blocks ads and trackers, and contains a ledger system that anonymously measures user attention aggregate to accurately reward publishers. The next step is introducing BAT. ... "
Why Amazon Is Leaving Legacy Retailers in the Dust? Wharton's Barbara Kahn and Columbia's Mark A. Cohen discuss what's behind Amazon's continuing success. What is the secret to the unparalleled success that keeps Amazon growing while so many traditional retailers are shutting their doors? Wharton marketing professor Barbara Kahn, director of the School’s Baker Retailing Center, and Mark Cohen, director of retail studies at Columbia University, recently joined the Knowledge@Wharton Show on Sirius XM channel 111 to discuss what’s driving Amazon’s success. (Listen to the podcast at the top of this page.) Following are key takeaways from the conversation. .... "
Google's new Visual Positioning System takes learning, Navigation to new Levels. As Google rolls out a slew of new features for Android and Daydream, one stood out as a triumphant convergence of a number of projects from parent company Alphabet, including Project Tango, Google Maps, and Lens. It’s called the Visual Positioning System, or VPS, and it uses internal sensors and cameras to help you navigate the world around you. The practical use is simple, even if the underlying technology isn’t. Users can walk into a store and point their phone’s camera in front of them. After identifying what it is you’re looking for, VPS will kick in, using visual data and previous sessions to point you in the right direction. Google showed it off in a hardware store, but it’s not hard to imagine how the technology could be extended to malls, large stadiums, theme parks, or museums. .... "
An impressive next step for machine vision on the phone. Which then permits you go perform tasks that have as an element the recognition of an image.
" ... Google has also announced a new “initiative” called Google Lens. Yes, I know this sounds like Office Lens at first, both because of the name and its vision-based functionality. But Google Lens is actually a lot more like Samsung’s Bixby Vision, and provides general purpose visual recognition. (It’s also sort of a successor to Google Goggles.) .... "
In Computerworld: With some cautions.
" .... You can use it to make calls, send messages and emails, set reminders and events, play YouTube music, get navigation advice, and search for the answers to questions. It is an app, which means you need to activate it to use it just as you do any app on iOS. That's different from Siri on iOS, which is built inside the operating system so you can access it without needing to open the app. Curiously, Assistant can do one thing Siri inexplicably cannot do -- which is to turn on your flashlight. .... "
Abstract: Many of the decisions we face in our everyday lives run deeply parallel to some of the canonical problems in computer science and operations research. Brian Christian will discuss both how we can leverage insights from these fields to develop better intuitions in our own thinking, as well as how our human values and principles might translate into an era of increasingly automated decision-making. Brian is the co-author of Algorithms to Live By: The Computer Science of Human Decisions, a #1 Audible bestseller, Amazon best science book of the year and MIT Technology Review best book of the year. He also is the author of The Most Human Human which was named a Wall Street Journal bestseller and a New Yorker favorite book of the year. .... "
Pointing towards Facebooks interest in AI and chatbots. Dialog understanding is hard. At Facebook AI Research (FAIR), understanding dialogue is an ambitious and long-term AI research goal. A truly effective dialogue system will be an assistive technology that will likely include a chatbot-type of system being able to interact with people through natural language communication. This could help people better understand the world around them and communicate more effectively with others, effectively bridging communication gaps. Researching and developing these kinds of technologies will only become more important as the amount of digital content continues to grow. The attempt to understand and interpret dialogue is not a new one. As far back as 20 years, there were several efforts to build a machine a person could talk to and teach how to have a conversation. These incorporated technology and engineering, but were single purposed with a very narrow focus, using pre-programmed scripted responses. Thanks to progress in machine learning, particularly in the last few years, having AI agents being able to converse with people in natural language has become a more realistic endeavor that is garnering attention from both the research community and industry. However, most of today’s dialogue systems continue to be scripted: their natural language understanding module may be based on machine learning, but what they execute or answer is in general dictated by if/then statements or rules engines. While they are improvement on what existed decades ago, it is in large part due to the large databases of content used to create and script their responses. .... "
Very nice piece on the SAS blog. Which naturally points out a number of SAS tools and their connection to what are now called AI. Am a long time practitioner of forecasting methods. Are you caught up in the machine learning forecasting frenzy? Is it reality or more hype? There's been a lot of hype about using machine learning for forecasting. And rightfully so, given the advancements in data collection, storage, and processing along with technology improvements, such as super computers and more powerful software. There's no reason why machine learning can't be used as another forecasting method among the array of existing forecasting methods. At SAS we're fortunate to have some of the top domain experts in forecasting, predicative analytics and machine learning. As the leaders in predictive analytics and machine learning, according to the recent The Forrester Wave™: Predictive Analytics and Machine Learning Solutions, Q1 2017, SAS domain experts were working with multilayer neural networks 30 years ago. .... "
See also related, a free 41 page paper, the Evolution of Analytics, ... " Opportunities and Challenges for Machine Learning in Business ... " a SAS publication. A long time interest, both regard to cyber attack, and Solar events. Which is more dangerous? Our electric supply is increasingly vulnerable to cyberattack, and new technologies aim to sound the alarm earlier. .... "
by Rachel Layne in Technology Review. Attended the Google I/O conference today. Very well done. Their CEO talks about how they hope to make AI work for everyone. From mobile first to AI first. A big challenge. A long article from their blog. I’ve now been at Google for 13 years, and it’s remarkable how the company’s founding mission of making information universally accessible and useful is as relevant today as it was when I joined. From the start, we’ve looked to solve complex problems using deep computer science and insights, even as the technology around us forces dramatic change. The most complex problems tend to be ones that affect people’s daily lives, and it’s exciting to see how many people have made Google a part of their day—we’ve just passed 2 billion monthly active Android devices; YouTube has not only 1 billion users but also 1 billion hours of watchtime every day; people find their way along 1 billion kilometers across the planet using Google Maps each day. This growth would have been unthinkable without computing’s shift to mobile, which made us rethink all of our products—reinventing them to reflect new models of interaction like multi-touch screens. We are now witnessing a new shift in computing: the move from a mobile-first to an AI-first world. And as before, it is forcing us to reimagine our products for a world that allows a more natural, seamless way of interacting with technology. Think about Google Search: it was built on our ability to understand text in webpages. But now, thanks to advances in deep learning, we’re able to make images, photos and videos useful to people in a way they simply haven’t been before. Your camera can “see”; you can speak to your phone and get answers back—speech and vision are becoming as important to computing as the keyboard or multi-touch screens. .... "
I like the point made about data. AI (aka Augmented Intelligence). Is just a better way to make decisions based on data. Difficult problems in changing contexts need lots of data to tease out patterns. Thus new analytical methods, that require lots of data, are starting to succeed. Implementing the results also need knowledge of the process involved. Ad and marketing tech, of course, are no exception. As the CMO’s role grows to include everything from ad tech to customer relations and corporate strategy, it becomes clear that unique and valuable insights—the kind analyzed by AI from mountains and mountains of data—are key. “The term AI is really fraught with multiple definitions,” says Wilson Raj, global director of SAS, “but I think what’s really happening is the data revolution. ” .... "
A long time interest of mine. We re getting closer. By Sharon Gaudin .... "
Brought to my attention. Facebook is doing lots with dialog and hybrid interactions, so its a natural place for this kind of research. Essential for chatbots. Have yet to see their Facebook M. Note the use of Mechanical Turk for examples. One of the long-term goals in AI is to develop intelligent chat bots that can converse with people in a natural way. Existing chat bots can sometimes complete specific independent tasks but have trouble understanding more than a single sentence or chaining subtasks together to complete a bigger task. More complex dialog, such as booking a restaurant or chatting about sports or news, requires the ability to understand multiple sentences and then reason about those sentences to supply the next part of the conversation. Since human dialog is so varied, chat bots must be skilled at many related tasks that all require different expertise but use the same input and output format. To achieve these goals, it is necessary to build software that unifies these tasks, as well as the agents that can learn from them. Recognizing this need, the Facebook AI Research (FAIR) team has built a new, open source platform for training and testing dialog models across multiple tasks at once. ParlAI (pronounced “par-lay”) is a one-stop shop for dialog research, where researchers can submit new tasks and training algorithms to a single, shared repository. Integration with Mechanical Turk for data collection, training, and evaluation also allows bots in ParlAI to talk to humans. This works toward the goal of unifying existing dialog data sets with learning systems that contain real dialog between people and bots. ParlAI complements existing FAIR text research efforts like FastText, our quick and efficient text classification tool, and CommAI, our framework for developing artificial general intelligence through increasingly complex tasks. .... "
This does not sound like much, but it is a considerable thing. You still have to ask for the notification. Which could cause a problem depending on how many notifications you have. It seems it would also be useful to allow a skill to take the initiative and directly notify you by voice, or ask for information. With your opt-in permission of course. Soon, Alexa users will be able to turn on notifications for Amazon shopping updates and select skills, including the Washington Post and AccuWeather. For links to my coverage of many virtual assistants. In Retailwire, with discussion. Not too different from our own retail store labs. Except, the testing of much stronger connection to online ordering. * Wi-Fi connected call buttons to page store associates. .... "
See also, the Wal-Mart blog containing their description of the next gen stores, with pictures. Particularly interested in the data collection and autonomous, sensor driven aspects of drones. This isn't just about little helicopters dropping off packages. Drones are going to work in swelling numbers as low-cost, high-value data collectors. You need a strategy for this disruptive platform. Something new every day, beginning with a feature article by Chris Anderson: Drones go to work. also including Interview: Helen Greiner, cofounder of iRobot and founder of a drone company. Good, well written, non-technical, also a bit dated (from mid 2015) as to current influences this tech is having. An executive's view, with a number of useful points. From McKinsey quarterly. Via DSC. In 2007 Fei-Fei Li, the head of Stanford’s Artificial Intelligence Lab, gave up trying to program computers to recognize objects and began labeling the millions of raw images that a child might encounter by age three and feeding them to computers. By being shown thousands and thousands of labeled data sets with instances of, say, a cat, the machine could shape its own rules for deciding whether a particular set of digital pixels was, in fact, a cat.1 Last November, Li’s team unveiled a program that identifies the visual elements of any picture with a high degree of accuracy. IBM’s Watson machine relied on a similar self-generated scoring system among hundreds of potential answers to crush the world’s best Jeopardy! players in 2011. .... "
The term is not much used, but makes the point. All computing systems are collaborative in some way. We have accepted the assistance of computers for a long time. But actual android helpers are still not common, and our reactions may be very different. These collaborative robots work alongside human employees, sending productivity sky-high. But IT teams must be prepared to take on complex programming, deal with connectivity issues and get used to sharing work space with 6-foot-tall machines. .... "
Most interesting development to make implementing sensors more efficient. Creating synthesized sensor results using machine learning. Researchers at Carnegie Mellon University's (CMU) Human-Computer Interaction Institute have developed a plug-in sensor package that tracks multiple phenomena in a room, collecting insights via machine-learning methods. "The idea is you can plug this in and immediately turn a room into a smart environment," says CMU's Gierad Laput. He notes the raw feeds from the package's nine sensors can be integrated and read by machine-learning algorithms in ways that can perceive numerous phenomena, including sounds, light, heat, temperature, and electromagnetic noise. Laput says the synthetic sensors can monitor the state of a device, while even more advanced sensors can deduce human activity. Plugging the units into a regular power socket makes batteries or special wiring unnecessary, although each room will likely require its own sensor platform. The researchers presented their "Synthetic Sensors" project last week at the ACM Conference on Human Factors in Computing Systems (CHI 2017) in Denver, CO. ... "